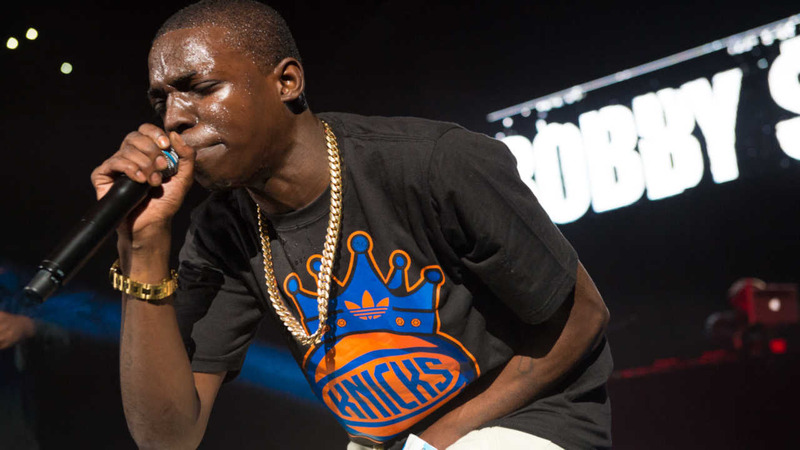 LOWER MANHATTAN, Manhattan (WABC) -- On the eve of his conspiracy trial in Lower Manhattan, rapper Bobby Shmurda pleaded guilty on Friday and will serve seven years behind bars. Shmurda, whose real name is Ackquielle Pollard, pleaded guilty to conspiracy to possess weapons and possession of a weapon. He will serve seven years in prison and another five years of probation after his prison term. He could have faced 25 years to life in prison if he was convicted at trial. Shmurda has been behind bars since his December 2014 arrest, when he was alleged to be the driving force behind a street gang responsible for a string of shootings in Brooklyn. He was arrested in a conspiracy case involving 15 others. Before his arrest, Shmurda was best known for the "Shmoney Dance."